Fits Big Twin Models 1970 thru 1999. 3 different covers are available that represent different year models and oiling systems. 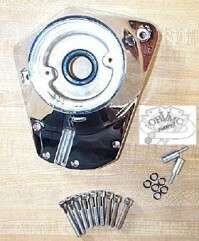 Each cover comes with mounting hardware, cam seal and cam cover gasket.